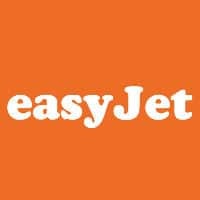 Low-cost airline easyJet is trialling iBeacon technology at London Luton, London Gatwick and Paris Charles de Gaulle airports. The aim of the project is to “enhance the in airport experience”, the airline says. Bluetooth Low Energy (BLE) beacons have been placed across the three airports and are used to trigger notifications on a passenger’s mobile device during “critical points of the airport journey”. These include bag drop and security, and to prompt a passenger to open their boarding pass at the right time. A new version of the airline’s iOS app has been released to support the test, which is due to run throughout the summer. “We are trialling the use of iBeacons at three of our busiest airports and, if they prove popular, we will roll them out across Europe,” says Peter Duffy, commercial director for easyJet.